Ever since I unveiled my kindergarten classroom last fall, I have received weekly questions about so many elements of my classroom decor. 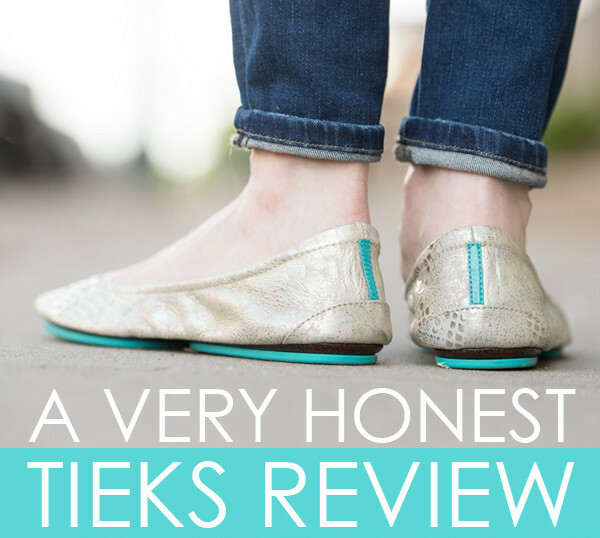 As popular questions arise, I have been dedicating several blog posts to answering your most frequently-asked questions. 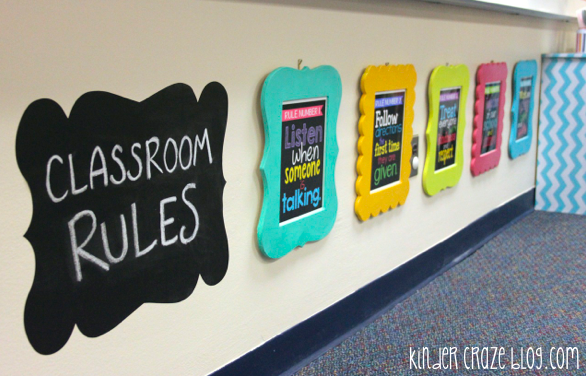 Today I am thrilled to finally answer all of your questions about my classroom rules. This post contains affiliate links for your shopping convenience. Save yourself some time and purchase your materials online! This post contains affiliate links. 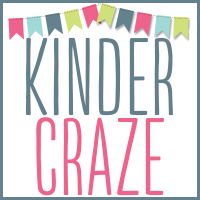 I earn a small commission each time someone makes a purchase through one of my links, which helps to support the blog. 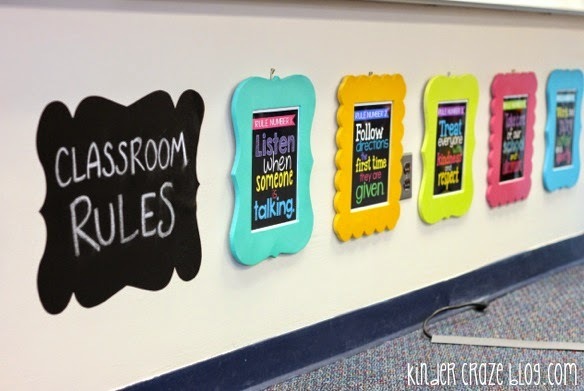 As you can see, my classroom rules can be found in the front of the room, low the ground (at my students eye level when they join me on the carpet) in brightly colored frames. All of this was intentional and not a single detail was a coincidence. I LOVE that the rules are posted in the front of the room and are visually accessible to the class. We reference the rules ALL DAY LONG. If some one interrupts while I am giving directions, I remind them of Rule Number 1: Listen when someone is talking. If someone is running in the classroom, Rule Number 5: Work and play safely and quietly. Sometimes I ask a child who is struggling with a particular rule to go look at it and read it to me. The rules keep my classroom running smoothly and it is only fitting that they are so prominently displayed in our learning environment. I take great pride in my classroom decor and I wanted the rules to be a natural fit in the environment so I designed my classroom rules to look like subway art. 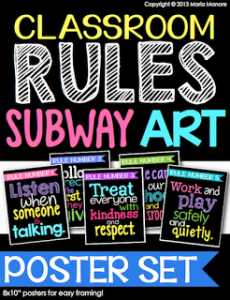 You can purchase Classroom Rules Subway Art in my TpT store. This is one of my Black Series products that features bright colors on a black background to make a bold statement. 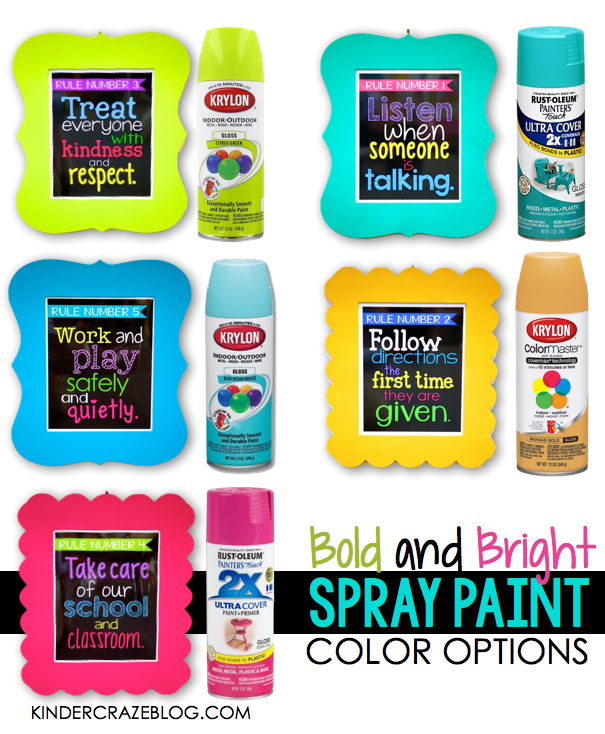 People are ALWAYS asking about the brightly colored frames that contain my classroom rules. I purchased the frames at Michaels this summer (I'll fill you in on all the details of the frames in a minute) and spray painted each one in a different bright solid color. In a recent blog post about my spray painted file cabinets, I mentioned the importance of priming a surface before painting. The frames I purchased were raw wood and the needed a coat of primer before beginning. 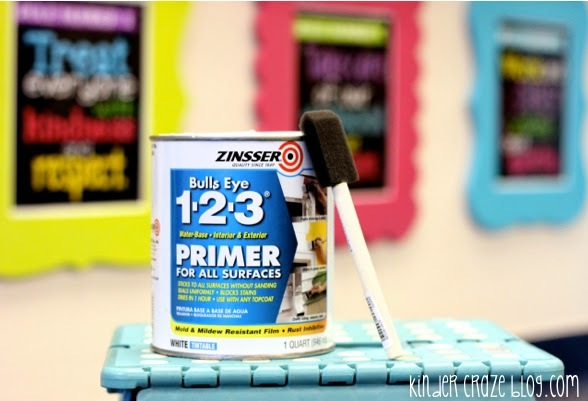 You can purchase spray primer, but I had a few quarts of traditional primer nearby from various classroom improvement projects this summer. 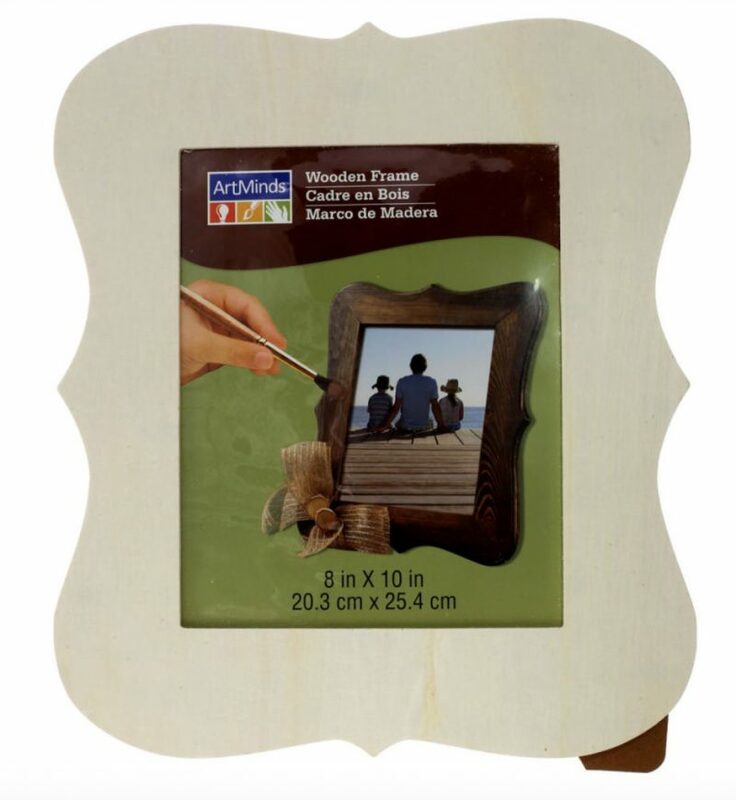 I used an inexpensive foam brush to paint a light coat of primer onto each frame picture frame. 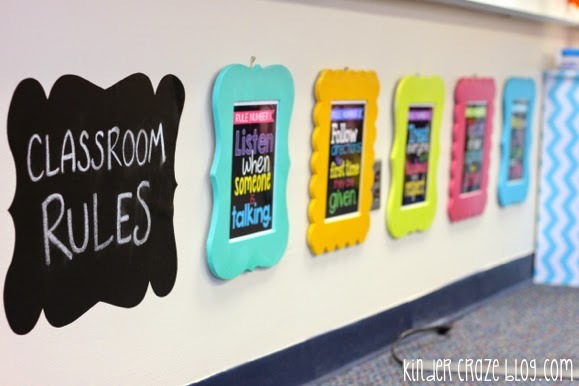 Where did I get those fabulous wood frames for my classroom rules? The actual frames are from Michaels. They are ArtMinds brand, unfinished wood and instead of glass, they just had a floppy piece of plastic to hold the photo in place. Like most picture frames, they had a back stand and brackets for mounting on the wall. Cori from Mrs. B's Beehive is also a teacher in a Catholic school. She let me know about the new frames that are in-stock at Michaels and Cori found a creative way to make the frames work for her. 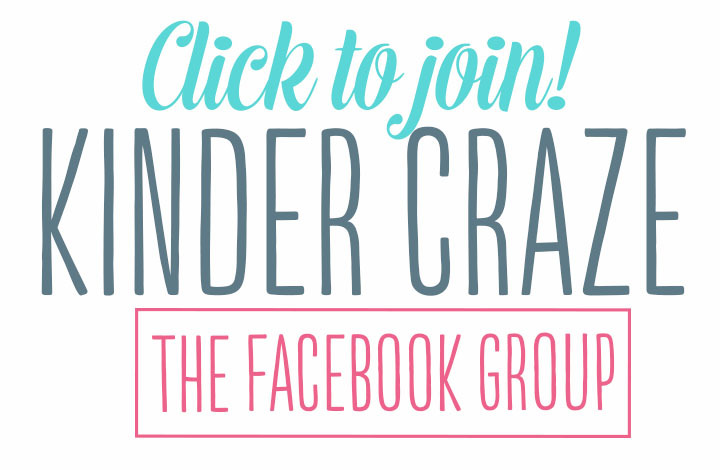 Stop by her post and see what she did! The black sign that says “Classroom Rules” beside the picture frames is a sheet of black chalkboard vinyl. I purchased a set of 3 scalloped sheets at Target last summer. 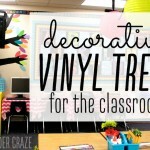 My friend Meggan has the cutest printing ever and she was sweet enough to write the words “classroom rules” on the vinyl. I sprayed it with hair spray to help keep the chalk in place and it worked! This sign hasn't smudged at all this year. 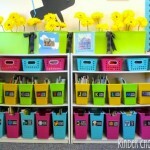 Want to know more about my kindergarten classroom? 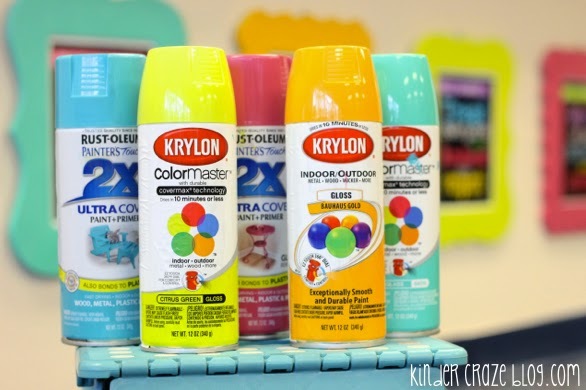 Read about my spray painted file cabinets with lots of tips and a video on the best way to spray paint. 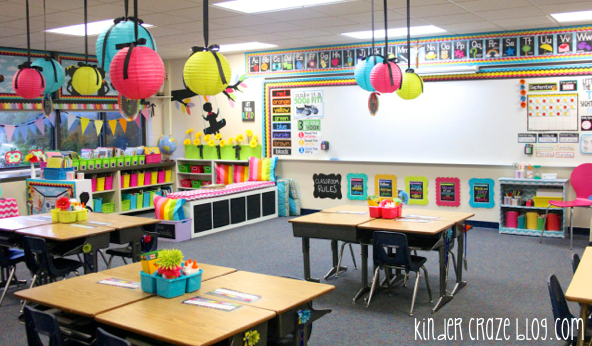 Take a tour of my room and see views of the entire classroom. Wow! Your classroom is stunning. I never tire of seeing it or hearing about how you achieved it. Thanks for being so open and encouraging by posting. you are indeed amazing!! 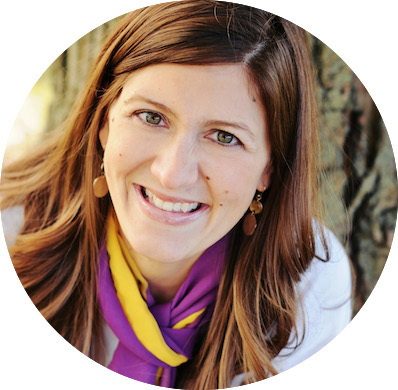 Thank you for the link to my post Maria, I really appreciate it! 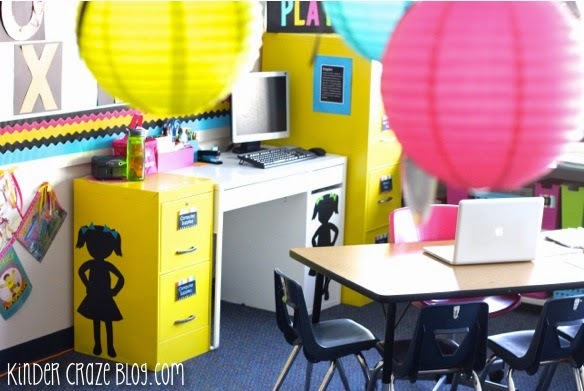 I love your color theme and everything you’ve included in your room! My building is over 100 years old– very high ceilings, marble, solid wood, and window walls. You are killing me with you AWESOME~NESS! 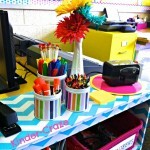 I love your classroom!! Adorable! 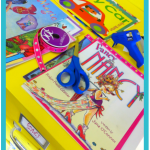 As a school librarian, I love your ideas! I recently started my own blog and would like your input. Ok, here is a silly question. On your black series, do you print on black paper? What size are your frames?? 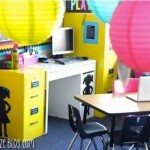 Love, love, love your room!! I bought my paint today. Very excited to go look for frames. The rules have been laminated for a couple months now! 🙂 I am also going to use it to paint cans. I would like to purchase your rules from tpt. However, two of my rules are different. Any chance you would do a special order for me? Love them!! How did you mount these to the wall??? How did you mount these to the wall? I spent a good amount of time looking for picture frames for these adorable rules!!! After many Goodwill trips I went to Ikea and purchased some 2 dollar photo frames. They come in a few primary colors. I decided on black. I thought I wanted to paint them but I enjoy the black on black. For some reason Ikea frames are 8 1/2 by 11 instead of 8 by 10. This bothered me for about 3 seconds until I spotted my scrape-booking paper. I put a layer on striped paper along the bottom of the rules. It covered up the white and added a cute detail. After this the rules fit perfect! There is no white to be seen. I hung them up today using mini Comand Hooks. It worked great. The frames have a plastic insert instead of glass so I am not worried about them falling and breaking. They have only been up for a few hours and I have received multiple compliments. For 2 bucks I do not think it gets any better. Anyways just wanted to say thanks and offer a suggestion! 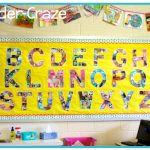 What size are the frames that you used for the kindergarten rules? what do you use to hang the tree? I haven’t found anything other than hot glue, that will stick all year. Love your ideas-shopping tomorrow! Anyway you could share an editable version or let me know how you created them? 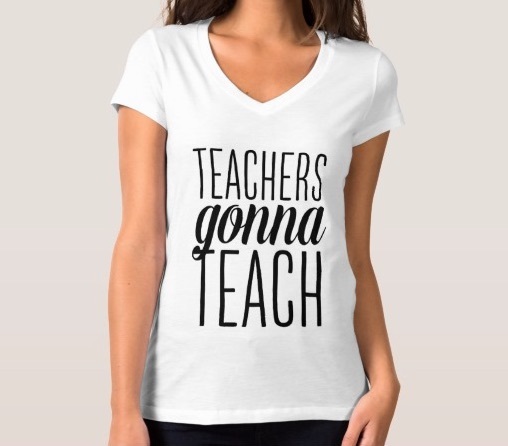 I could totally purchase it on TPT!